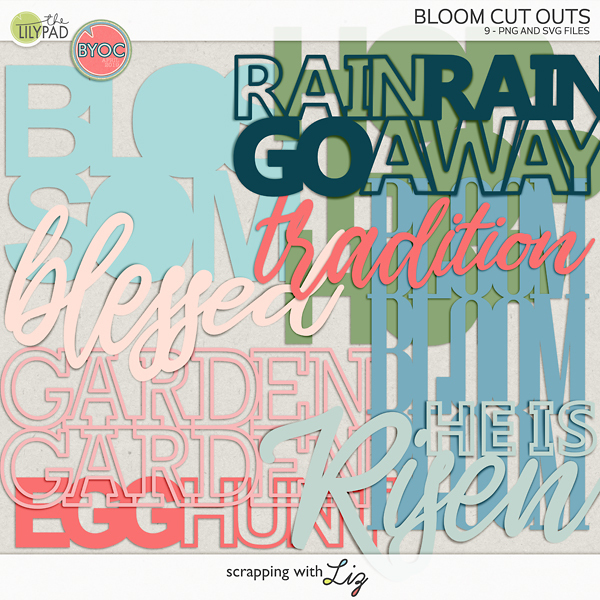 Scrapping with Liz: Week 11 and Coming Home! Week 11 and Coming Home! I've made it a priority to put my phone away and that means more photos with my DSLR which makes me a happy mamma when I go to scrap my weekly pages. The photos are always better than my phone photos. 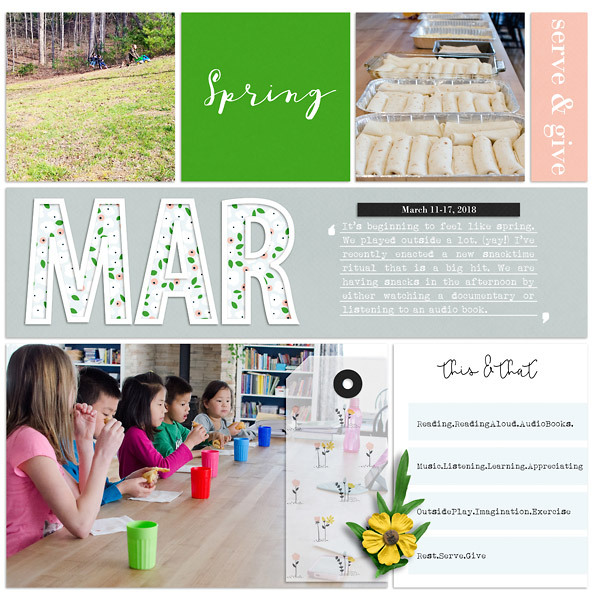 This week was a pretty typical week: school, music lessons, reading, playing outside, etc. No special events or activities. It was nice! I kept my page nice and simple. 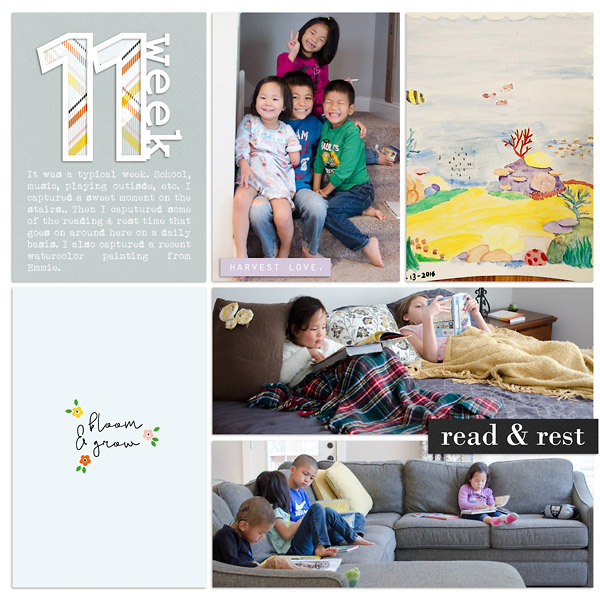 I'm loving the light, airy feel my weekly pages have had lately, plus they are really easy to put together. 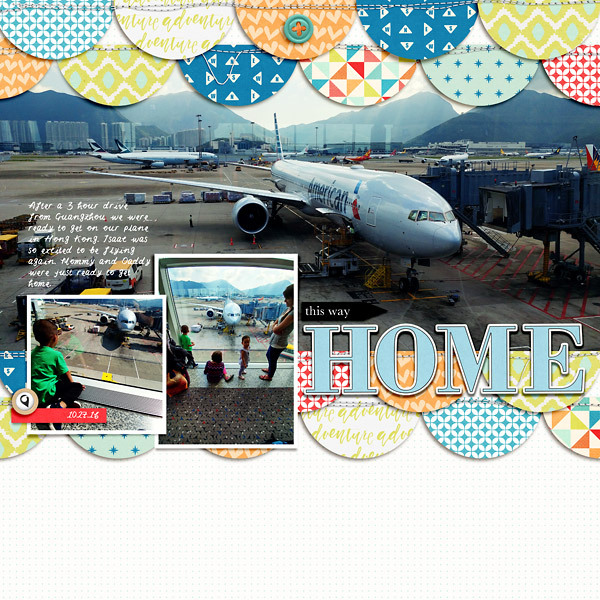 I also scrapped two more pages of our travels home from China. It's hard to believe that Abi and Isaac have been home almost a year and a half. They've grown so much. We've grown so much. Only a few more pages and I think I'll be ready to print these albums! Maybe I'll have them done for their birthdays in May. How about you? 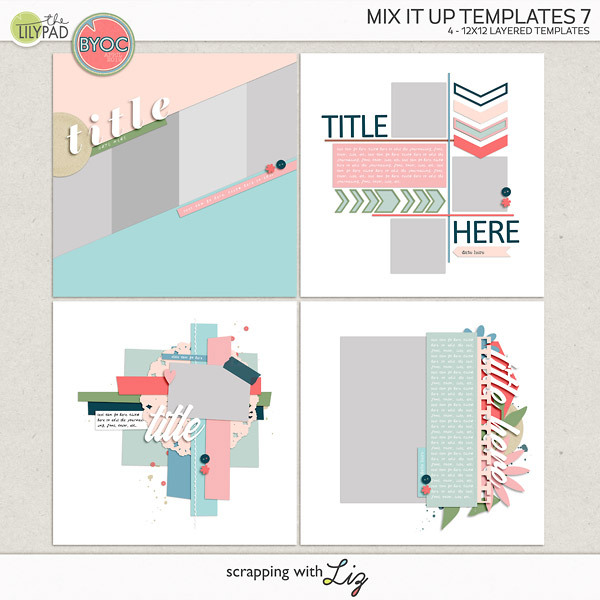 What did you scrap this weekend? 50% OFF and LAST CHANCE Retiring Products Sale! Lovely Angles and That's The Photo - $2.00!